The popularity of Perfect Painter is a result of our hard work and dedication to precision. We take immense pleasure in painting the home of your dream. Don’t gamble with inexperienced and uninsured painters that may cause damage to your home. Work with expert professionals that guaranteed efficient and affordable painting results. To look is better than to hear a thousand times! Catch a glimpse of the outstanding painting work of Perfect Painter and you will recognize excellent quality and exquisite workmanship. Get ready to be dazzled. There’s no shortage of residential painters in the GTA. So how can you predict which one will get the job done right? Remember Painting is more of a skill than work of a plumber and or electrician. There is no shortage of commercial painting companies in Toronto or the GTA !!! So how can you predict which one will get the job done right? Perfect Painter is a top-rated painting company that goes the extra mile in providing total customer satisfaction. It has served several home owners and businessmen of Greater Toronto Area and delivered beautiful painting results every time. Our painting crew is experienced in beautifying residential properties as well as commercial properties. Our services are not limited to painting your home but we also provide quality home renovation and handyman services. 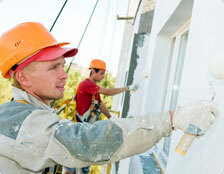 Our painters are certified and highly experienced professionals. Our professional painting services are high-quality yet easy on the wallet. For the best painters and the ideal painting job in Toronto and the surrounding area, Perfect Painter is undoubtedly one of the highest rated painting companies available. We are proud to provide our clients with professional quality services such as painting, home renovation, and handyman services. Available seven days a week for all of your needs, we are always committed to getting your job done right the first time, whether it is interior, exterior, residential or business painting. Our Handyman services tackle those small jobs that many of the bigger contractors do not want to handle and our commercial painters are perfect for residential and house painting jobs. Whether the task at hand involves painting in Mississauga or in Toronto, we are happy to provide some of the most skilled contractors around. When you hire skilled and dedicated workers from the get go, you will have a positive painting experience. However, when you do not choose a quality painting or home renovations company, you put yourself at risk of receiving a detrimental painting job. At Perfect Painter, we pride ourselves on making sure every painting experience is the best it can be. Our painters are respectful and caring, which in turn makes us an optimal choice as far as work involving painting in Toronto goes. As part of our extended team, we provide all our clients with an interior designer or color consultant. We believe that offering these types of services at no cost to our customers is necessary and helpful in doing a high quality job and getting it right the first time. We do not believe in making extra money from referrals or services that are required to perform an excellent job. We only recommend the best quality paints from our section of top paint brands including Sherwin Williams, General Paint, and Benjamin Moore. We strive to always be competitive in our prices and will compete to earn your business against any other reputable painting or home renovation companies. At Perfect Painter we will never ask for payment until the job is completed to the customer’s satisfaction. We believe that having caring and compassionate customer service is key and will help us maintain our great business. If you still are not sure about us, just look up the extensive positive reviews we have received and are available online. Again, it doesn’t matter if you are looking for painters in Mississauga or for speedy painting in Toronto to be completed within a specific timeframe, we have the right people for the job. Not only do we provide skilled painters in Toronto, we also have competent carpenters and best of all, the friendly customer service support you need to get the job done. On our site, we offer paint from the 3 top suppliers in the GTA for our customers to purchase at wholesale prices. In many cases discounts can range from 20-65% off. We aim to maintain the quality we pride ourselves on so that we can be the house painters you call for you and your family’s needs. Perfect Painter promises to leave your home, office or business in great shape once our expert team completes your painting or renovation projects. Please allow us to provide you with a no obligation free estimate. We offer written estimates on all projects, except when you hire our painters or handymen for same-day services. We will advise you on the painting work that will be required at the time of service and make suggestions for any future work that may be needed. We can also arrange for a skilled painting color consultant to provide you with decor and style ideas for your home or office. Our painting quotes contain a breakdown of all the costs and details of the work that is to be done. We will supply paint, construction, and renovation advice for all of our customers as well, at no extra charge. 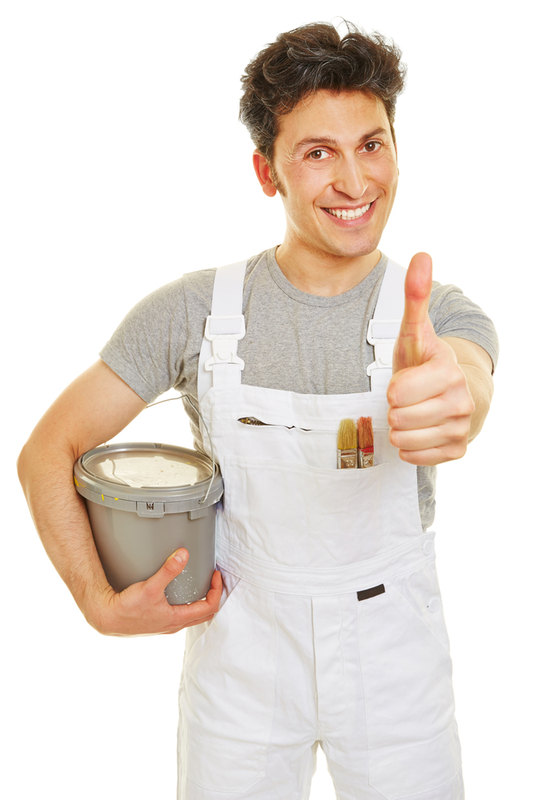 Perfect Painter spends a tremendous amount of time in recruiting the best commercial painters and handymen possible. Our extensive hiring platform is unique to the painting industry and allows us to recruit the most skilled professionals we can locate. For the best painting in Mississauga, Toronto and the GTA you can count on us to provide the quality service you deserve, so contact us and we’ll get the job done as soon as possible! Ensuring customer satisfaction is the reason Perfect Painter are a top-rated painting company. We offer painting and restoration services in the Greater Toronto Area. Our objective is not to paint over problems, but to restore and beautify homes and commercial properties. We know when you want to paint and restore a home or business you do your homework. You want to know the company involved has experience, and references. Many people even write down a list describing their ideal painting service. Your home isn’t ordinary. We understand that a home is where you, and your family live, work and play. Homes are a reflection of who we are. We strive to be the perfect service you are hoping to find. Typically homes need more than just a fresh coat of paint, and just as often homes and businesses need repair and restoration. We show our pride for our painting in our corporate name, but it shouldn’t be forgotten we also have very talented professionals who specialize in renovation and restoration. We know from experience how difficult it is to find those individuals who have the multiple skills and attention to detail necessary for a perfect restoration, and that’s why we are seeking to recruit just such talented craftspeople for our own team. As a part of our service we also have an interior designer and colour consultant who can work with you in making the important decisions about making exciting changes in your home. No matter the situation or location, whether in Mississauga or Toronto, the painters and craftspeople we hire know what they are doing. We offer restoration in every room of the home, and we take pride in our ability to change an ordinary house into the home our clients’ dream of owning. From large to small tasks we have the licensed craftspeople to do a detailed and attractive job. The reality is some painters will paint over problems because they don’t recognize them. They don’t have the experience to spot a problem and correct it. This is the difference between Perfect Painter and the services you might have used in the past. The level of service we provide and the attention to detail will not only ensure your commercial property looks perfect when we finish, but the job we perform will also hold up to the elements, and to the level of use the typical business expects to see. Whether you are seeking a professional painting job for your home or for your commercial space, Perfect Painter understands no one wants a mess, noise, or disruption to their schedule when painters and restorers are on site. We take precautions to ensure that safety is a priority, and we work with as little disruption to your routine as possible. Our goal is always to provide our customers with the highest levels of service and quality from restoration, to painting. Experience the difference that Perfect Painter can make to your home or business. Call us today. Toronto’s best handyman service, do you need us to Complete that honey to do list or are in need of a bigger renovation? Affinity Renovations & General Contracting has a great team and we are considered the top rated renovation company in Greater Toronto Area. A home is one of the most invaluable assets for man. And, when it comes to renovating your home and upgrading it to match your lifestyle, The Home Improvement Group gives its 100%.